Law for Life strives for social justice by legally empowering individuals and communities. We believe everyone should be equipped with the knowledge, confidence and skills needed to deal with the law-related issues they are likely to encounter in the course of their lives. 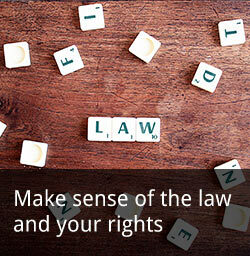 We specialise in targeted and tailored public legal education that is user-centred, empowering and preventative. We deliver award-winning access to justice assistance that brings together on and offline help. Our PIP tool produced 15,832 personalised letters to help users to overturn unfair Personal Independence Payment decisions. We launched a similar tool to help our users overturn unfair decisions about their children’s DLA. 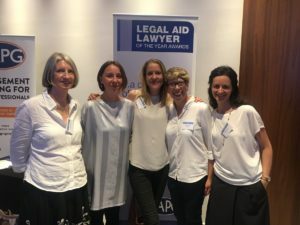 Law for Life’s Advicenow site had a year of accolades, winning both the Legal Aid Lawyer of the Year (LALY) Access to Justice through IT award, and a Plain English award for our popular guide How to win a PIP appeal. We are a leading partner in the MoJ’s Litigant in person Support Strategy, along with RCJ Citizens Advice, the Personal Support Unit, and LawWorks clinics. We began contributing to the Solicitor General Robert Buckland QC MP’s public legal education panel, launched in July. We gave evidence to the Bach Commission report “Right to Justice”, launched in September 2017. And we are part of the Litigant in Person Engagement Group convened by the Ministry of Justice and Her Majesty’s Court Service to inform the development of the Online Court reform programme. 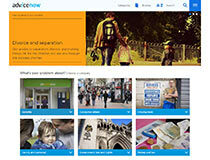 In the coming year we will expand our ethical retail offering, and expand our range of information tools. We will produce new materials to help Litigants in Person, those experiencing benefit sanctions, and those challenging DWP decisions. 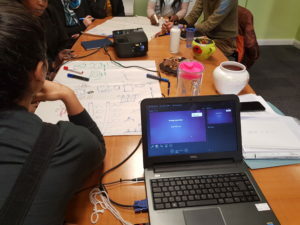 We will deliver our multimedia toolkit to support Roma parents going through the child protection process, and explore ways of creating easier pathways to further support and advice for users of our materials looking at divorce, child arrangements and financial orders.